Learn the secret of how the X-Men's diamond-sculpted?seductress became the formidable woman she is today. 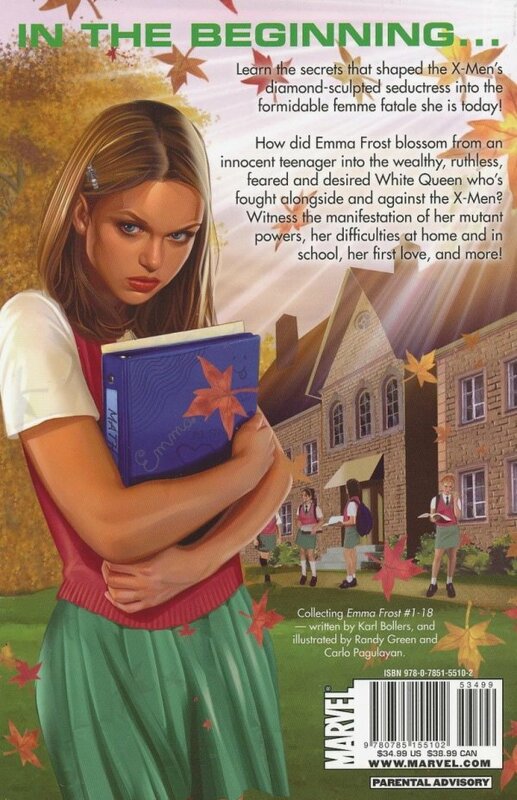 Witness the first time her mutant powers manifested, her difficulties at home and in school, and her early first love that explains how she blossomed from an innocent teenager into the wealthy, ruthless, feared and desired White Queen who has fought alongside and against the X-Men! Collecting EMMA FROST #1-18.